Pacific Honda Blog: Honda named "Brand of the Year"! 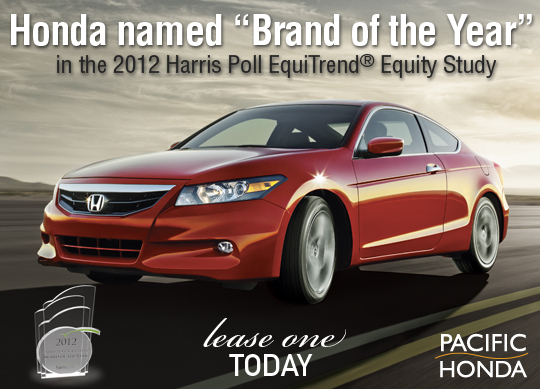 Honda has been recognized as the "Brand of the Year" in the "Full Line Automotive" category according to the 2012 Harris Poll EquiTrend® study. Honda received the highest numerical Equity Score among full line automotive brands included in the 2012 Harris Poll EquiTrend® study. Click here to read the full press release. For more information on Honda models, stop by Pacific Honda today!